The Black Widow is a notorious alleged serial killer whose previous three husbands have all died under mysterious and violent circumstances. Her fourth husband has recently gone missing, and though the police have nothing so far, they’ve hired your group of private investigators to break into her home and find out what happened. Uncover the truth quickly, though, as you don’t want to get caught in her web! The Black Widow’s home is lovely, and eerie, with signs of her subtle madness hidden throughout the room. As always from Escape Quest, the attention to detail and production values are wonderful and immediately immersive. Rooms feel nothing like the usual converted office spaces, and help transport you into a new space while telling their stories. Along with the immersive and beautiful room, comes a slew of thought provoking puzzling. Each item leads from spot to spot, but in a subtle way, allowing for quite a few moments of revelation. While building toward the meta puzzle, new revelations are found, and each step is satisfying in it’s feedback when solved. All details of the room are woven into the puzzling, and finding small details or prop interactions were very enjoyable. The reveal near the end is exciting, and the climax feels appropriate and fun. One puzzle in particular is tactile and feels great when solving, but also helps build a creepier atmosphere once it has been completed. We accidentally skipped one puzzle, which was optional, but became a sort of an unintentional red herring for us near the end. The solution for a couple puzzles felt a bit tenuous and in one case, we found that a certain puzzle was used twice in different ways, which was fairly unusual. Black Widow was our final room during our DC trip, and I couldn’t have asked more a more enjoyable experience for our capstone. This adventure left me wanting more, and I cannot wait to return to Escape Quest to see what they can cook up next. As with all of their rooms, I very much recommend you give them a try. 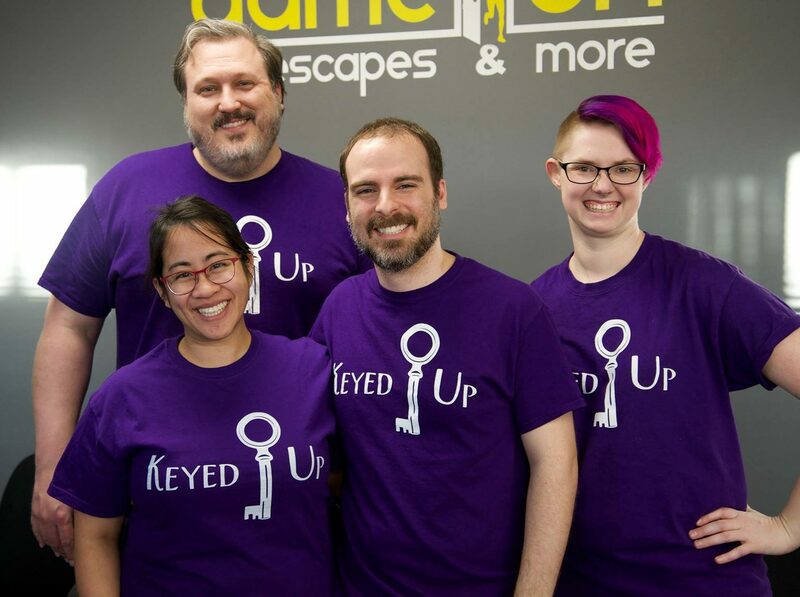 Beginners and Enthusiasts will find something to enjoy here, and I would say that Escape Quest is the overall best company to visit in the DC area, definitely give them as shot if you’re in the area. Book your investigation into the Black Widow here! Full Disclosure: Escape Quest comped our tickets for this game.